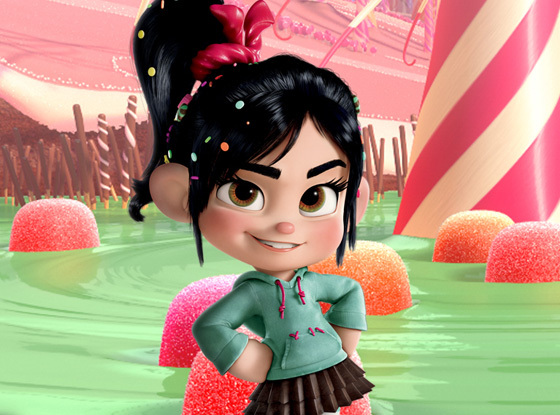 Sugar sweet names worked (well, kind of) in 'Wreck It Ralph' - why not some minty fresh names? When you think of mint, you think of fresh. That's why mint is such a popular flavour and smell for breath fresheners, toothpastes and mouthwashes. They also do a fantastic job as an after dinner chocolate dessert - a la chocolate dinner mints, and the tradition of leaving mints on your pillow for when you turn in for the night at hotels. Fresh is a term that is often bandied about in the name world too. It's used when parents are looking for a rarely heard, "fresh" new name, when we are "tweaking" a popular favourite to give it a "fresh" feel, or forgotten gems that are being polished off and given a "fresh" lease on life. So I thought if a name is connected to mint and all thing's minty, that could be a good thing right? Maybe not, but here's some mint related names to get you thinking. Araminta - my first thought for a "mint" girls name. Love Arabella, but not the inevitable nickname Bella, which would be shared with all those Isabella's out there? Then how about Araminta? Different but not too different, and bursting with new old fashioned charm. Eminta/Aminta - Araminta is thought to come from Aminta, a Greek name meaning 'defender, vindicator'. It's sleeker than Araminta, and a little more modern looking. I personally prefer the Eminta spelling. Not because I don't like "A" names, it's just....well....there's so many of them. Plus it helps steer people away from "want a mint, eh?" jokes. I could also see Eminta fitting in quite well as a regal name in a sci fi setting if you're looking for a character name for a book. Just saying. Reminton - You may recognise him better as Remington, but then he wouldn't have "mint" in his name, would he? Reminton is an English name meaning 'place on the riverbank'. He's all Bond-like sophistication. Remington was ranked #479 for boys in America in 2011 (and was also given to 120 girls) while Reminton has never charted. Minty/Mintie - Super cute, could be used as name by itself or nickname for any of the above. The Mintie spelling is on trend with other "ie" ending nickname names such as Evie or Ellie. However minties are a very popular lolly here in Australia, so if you also have them in your country you may want to stick with the Minty spelling. Spear - As in Spearmint. Fits right in with both weapon like names like Arrow, Hunter and Gunner, and the current popularity of short, sharp strong names for boys. Yet so far it has gone undiscovered. Possibly a little too primal sounding to sit comfortably with most people. Pepper - As in Peppermint. Pepper is a spunky little name that while more popular for girls, also works well for boys. Again, I could see it being a great character name in a book or movie. One often heard argument against Pepper is that it's not a name you could see on a Chief Justice (i.e. doesn't work well on grown ups). But I look at it this way 1 - not all adults have high profile prestigious jobs (and a "normal" middle name gives them another option if that turns out to be their path in life) and 2 - seems to work OK for Pepper Potts. Sure, as she's Iron Man's uber smart secretary and paramour, she's a fictional character. But she's taken seriously, and many people in today's society have grown up accepting that a Pepper can be smart too. So possibly not the big handicap you might first assume. Patty - Peppermint Patty is one of Charlie Brown's friends in the famous 'Peanuts' cartoons. Her full name is actually Patricia "Peppermint Patty" Reichardt, and story is that creator Charles M. Schulz named her for a dish of peppermint candies he had on his writing desk. Patricia (and Patty) is from the Latin word for 'noble, patrician'. Popular from the 30's to the 50's, Patty is very rarely found these days. Personally, I'd probably stick with the elegant Patricia. Cane - Because candy canes are made of peppermint :). Cane comes in many different spelling variations - Cain, Kane, Kain, Kayne - all of which comes from Cain. Cain is a Hebrew name meaning 'possessed'. It's various spellings are quite popular as video game characters, possibly because they sound strong. The biblical tale of Cain and Abel also lends the name an aura of treachery and danger. The various spelling most likely arose as a way to get the sound without the biblical image, and Kane is currently the most popular spelling, sitting at #505 for American boys in 2011. Aero - while we're talking about peppermint flavoured candy associations, I thought I'd include Aero. In case you haven't heard of it, the Aero bar is a chocolate bar filled with bubbles. The mint Aero (my favourite) has mint flavoured chocolate bubbles and is covered in milk chocolate. Sounds kind of like Arrow, but with more of a nature association it's a much softer choice. Reminds me of Neo from 'The Matrix', or 'Aeon Flux', so feels a little futuristic. Cool and interesting choice for a boy or a girl. Franklin - To get away from candy, The Franklin Mint is a famous producer of coins, jewellery, sculptures and other collectibles. Franklin is an English name meaning 'free landholder'. It's quite distinguished sounding, but inexplicably tied to president Benjamin Franklin. Tulip - This "friendlier" version of Mint Julep was the name of one of Strawberry Shortcake's pals in the 80's. Very sweet, underused flower name, but does have the drawback of sounding more like a pet name than other flower names such as Rose and Lily. But I can just imagine a little girl called Tulip with the nickname Minty. Dublin or Ireland - Maybe you think I included this because mint is green, and the colour green is associated with Ireland. Not so. The Mint was once a very famous Michelin star restaurant in Dublin, Ireland, that closed in 2009. Both Dublin and Ireland have been used as place names for boys and girls. Ireland has a little more name fame, as Kim Basinger and Alec Baldwin named their first daughter Ireland (nickname Addie) in 1995. I personally prefer Ireland to Dublin, simply because I'm not a fan of the "dub" sound. Vegas - And to another famous Mint establishment, The Mint Las Vegas hotel and casino. Although it closed down in 1988, The Mint was famous for its sponsorship of The Mint 400, one of the biggest off road car races. Hunter S Thompson stayed there and immortalised it in his novel 'Fear and Loathing in Las Vegas', and a digital replication of the casino appears in the movie of the same name. The actual casino also appeared in a Bond movie and a U2 video clip. Vegas probably works better as a name outside of America, unless you want people to think of wild times and showgirls when they meet your child. Or drop the "s" and you have Vega, an Arabic name meaning 'swooping eagle' and the name of an actual star. Well that wraps up my ideas for fresh names inspired by Mint. What names do you think of when you think of Mint? Would you use any of these? Love Araminta, Aminta, Pepper, Tulip and (kind of) Vegas. One of our Chief Justices was named Garfield! Other high-up judges include Ninian, Mellis, Pope, Mostyn, Ratcliffe, Hereward, Dormer, Angelo, Valentine, Sally, Kevin, Bill, Pierre, Shan, Emilios and Algernon. If you want a name that sounds like a Justice, I'd say you've got a pretty free rein. I can't believe there is actually a blog post for this! I am about 3 weeks away from delivering a girl and my prevailing craving the whole time has been chewing Altoid Mints! So we were jokingly looking into "Mint" as a name.